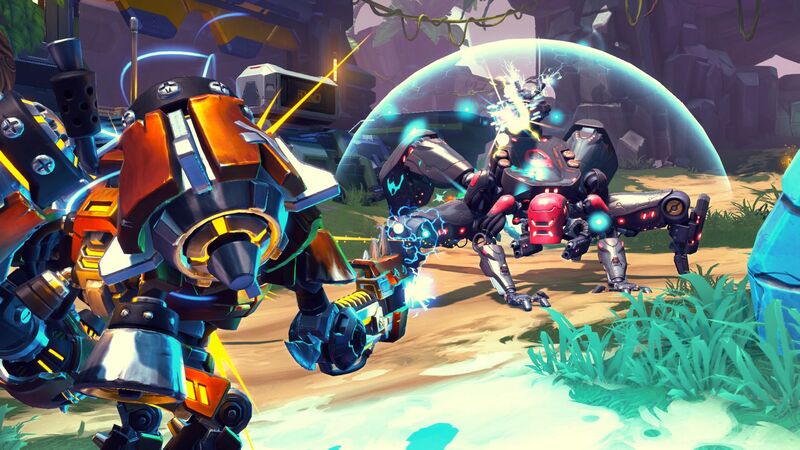 Wow – it’s been a big week for Battleborn. Firstly, this past weekend saw our first Play w/ the Devs event and Double Credits weekend! Both of these events were a resounding success and certainly things that you’ll see again in the near future. Thanks to the awesome streamers who took part and helped to make it happen! Not only did we have a full weekend of events, but also we teased some pretty big stuff that’s coming this summer in last week’s Battleplan – from new competitive multiplayer maps and modes, to some significant changes to the matchmaking experience and Broadcaster mode. You can see a detailed breakdown of some of this upcoming content in our DLC Plan Update blog on Battleborn.com. We’ve heard a lot of feedback from the community about matchmaking over the last few weeks, and have been working hard to improve our system. Generally, there are two areas we’ve focused on: increasing the quality of skill matches and lowering the time it takes players to find teams and games. We’ve already made a number of minor changes behind the scenes that have improved our system. This week, however, we want to try something a bit more dramatic. This week, we’re changing the flow of how you match into competitive games. We’re removing the queues for individual game modes and creating two new queues in their place: CASUAL PLAY and COMPETITIVE PLAY. The CASUAL PLAY queue focuses on getting you into games as quickly as possible and doesn’t use skill-based matchmaking. All versus maps and modes will be available through the CASUAL PLAY queue. After finding teams, you will vote on one of three randomly-selected maps from the entire set of maps and modes. We believe this will be a great way for you to get in and get a quick fix when you don’t want to take as much time to wait for a more accurate skill match. The COMPETITIVE PLAY queue helps unify the competitive community into a single experience. All matches played through the COMPETITIVE PLAY queue will be matched through our skill-based matchmaking system. One map from each of our competitive modes will be available, based on the most popular community choices, starting with Incursion: Overgrowth, Meltdown: Paradise, and Capture: Outback. While it may take a few additional minutes to find a good match for you, the COMPETITIVE PLAY queue will offer a 25% bonus to credits and experience to help offset the additional time it takes you to find good matches. We have other changes in progress as well, and we will be posting a forum thread shortly where you can find more information and provide feedback. We will be watching your comments closely, and want to try some other adjustments over the next week to improve your Battleborn experience. We have a few hot fixes of note this week, but the big thing you’ll notice is that we’re raising the legendary drop rate of Boss Legendaries. That’s right, it’s about to become easier to get that Boss Legendary you’ve had your eye on for so long! We took a look at the data and decided this was the right way to go, plus, we didn’t think you guys would mind too much. As you know, hot fixes begin rolling out at 12pm PT (3pm ET) every Thursday, so hop into Battleborn this afternoon and get your farm on! You can see the full list of participants and a video of the EU PC championship game, as well as find out how you can put together your own team to participate by visiting the r/Battleborn subreddit! As we said above, we have a new blog post (link above) that goes into a bit more detail about some of the content you can expect to see this summer, and while details on some things will be forthcoming, we’re excited to start pushing back the curtain and sharing more with you all! In next week’s Battleplan, we’ll be looking to elaborate a little bit more on some of the things that we have coming down the pipe.